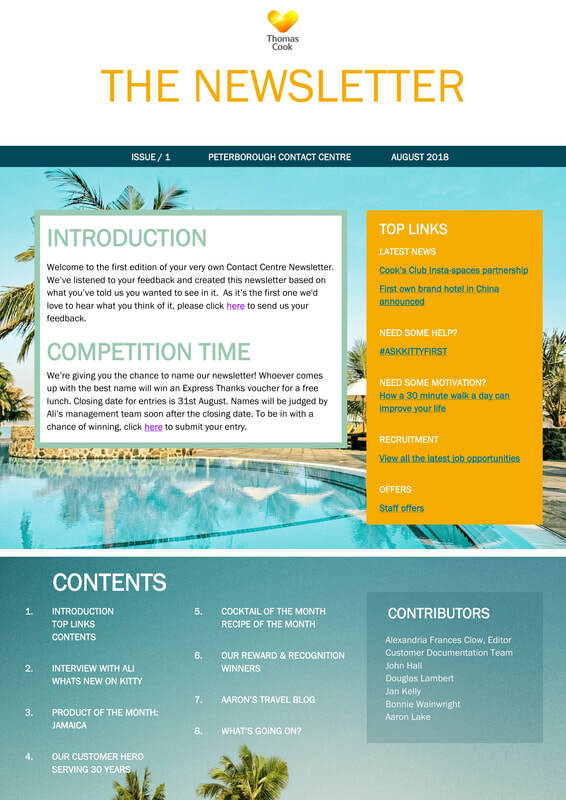 I was given the opportunity to design a newsletter for both Contact Centre's within Thomas Cook, (one based in Peterborough and the other in Falkirk). 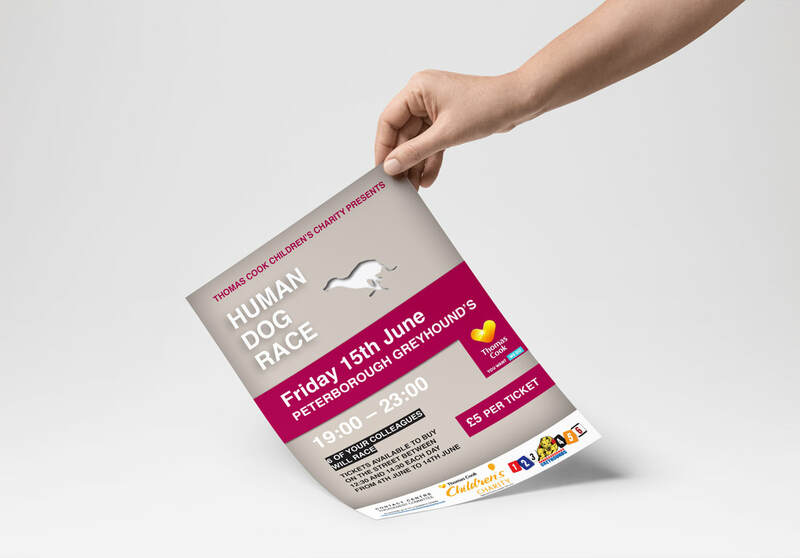 I was asked to design an A4 poster and small tickets for the Thomas Cook's Charity event, the 'Human Dog Race' organised by the Contact Centre Engagement Committee. 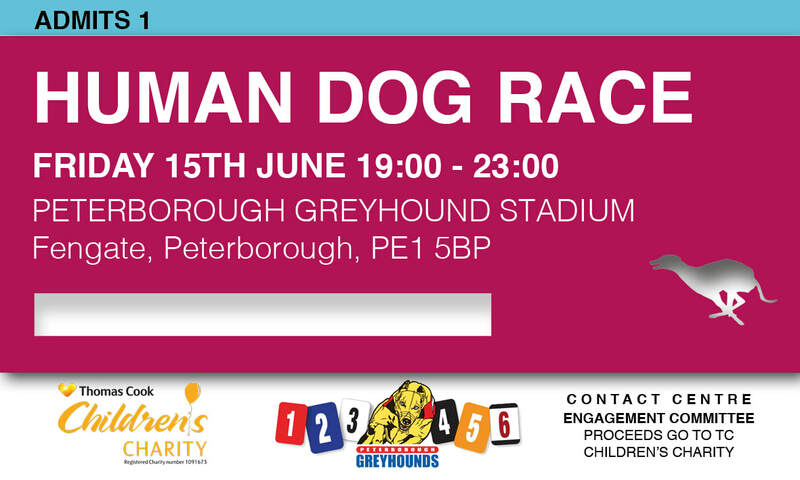 The aim was to get 100 people to buy tickets to the event. 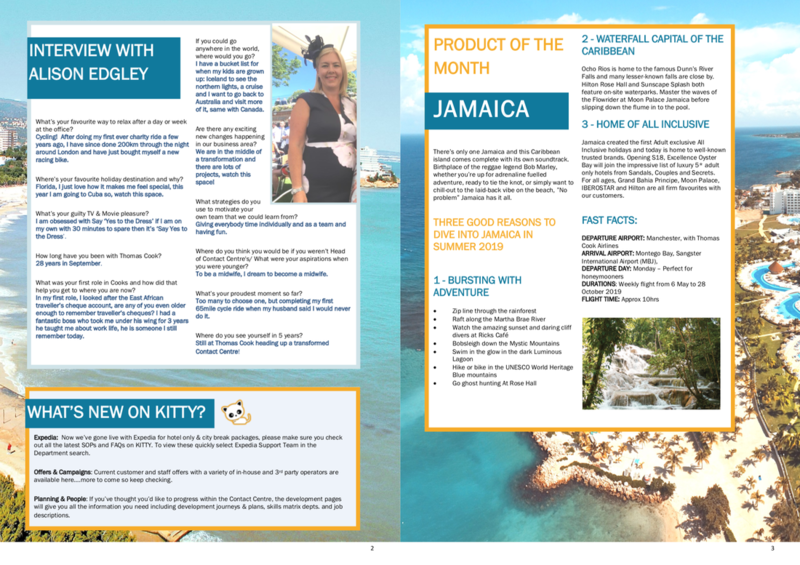 Working to Thomas Cook branding guidelines, I chose a colour pallet based around their new logo. 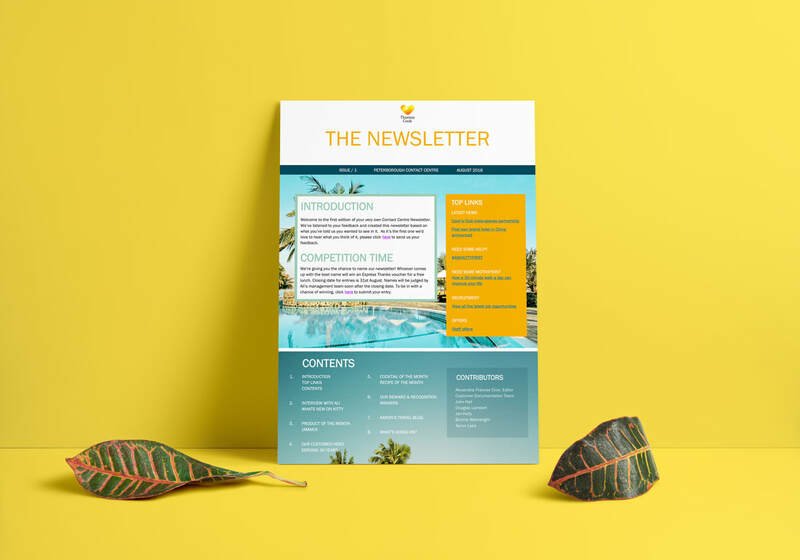 I designed the poster around Thomas Cook’s ‘You Want, We Do’ logo, adapting it to fit Thomas Cook’s new slogan: ‘Don’t Just Book It, Thomas Cook it. 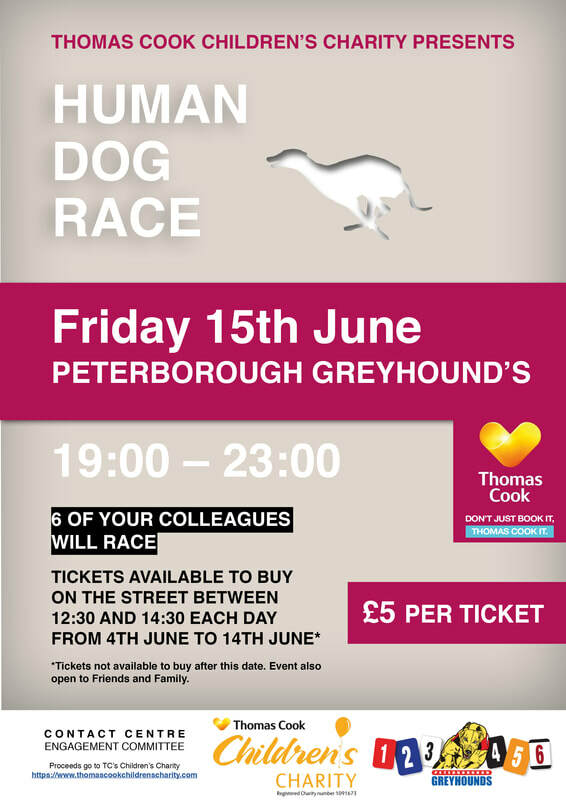 The poster was displayed on screens around the building, as well as emailed out until we reached the target and event deadline. 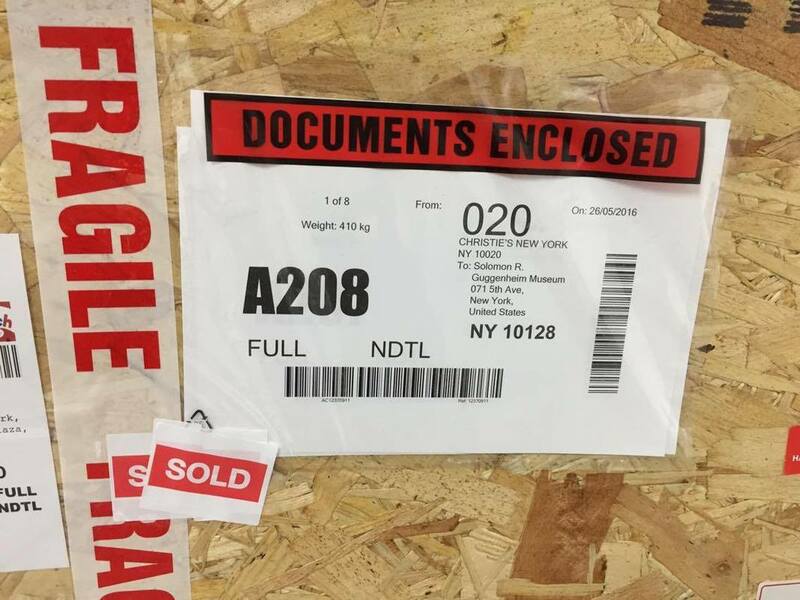 The aim of this project was to recreate the artwork, 'Priority Shipping' 2017, as a bespoke coffee table. 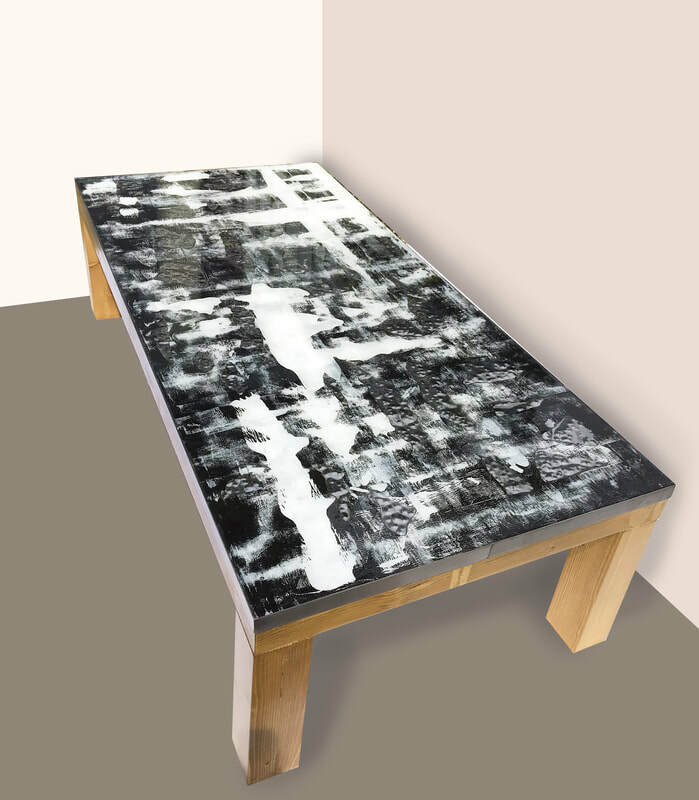 This piece was originally made from a shipping pallet, where I applied paint and metal to create a detailed surface texture. To turn it into a usable table, we deconstructed the pallet and kept only the top surface where the artworks image was displayed. With the help of a carpenter, we created a solid pine coffee table structure, ready to use and enjoy. The last step was to encase and protect the artwork, at the same time as creating a hardwearing, usable table top. We chose to use a glass-cast epoxy resin, a specially formulated 'liquid glass' material which gives a crystal clear, high shine finish. 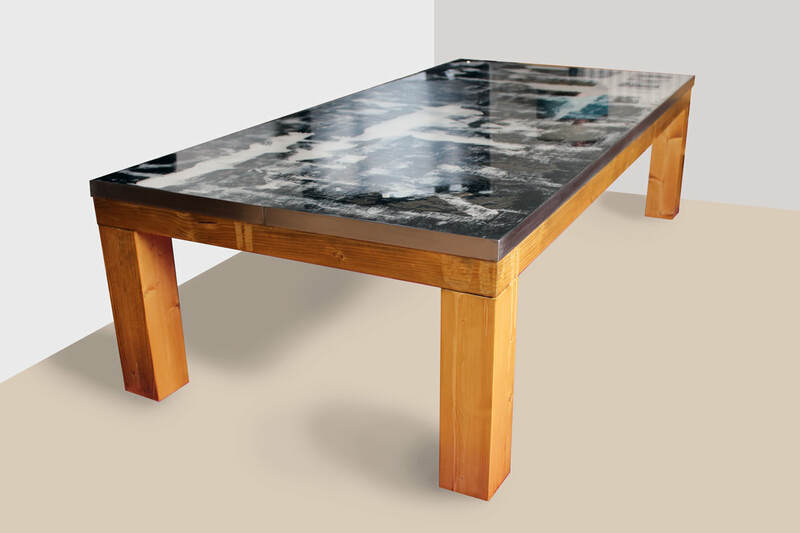 The table keeps some unique signs of its labour, like the subtle marks in the wood from pouring on the resin surface. The table's dimensions are: 161.6 cm Length x 76.1 cm Width x 43 cm Height. Made from pine wood, acrylic paint, clear resin, epoxy resin, mild steel and stainless steel. 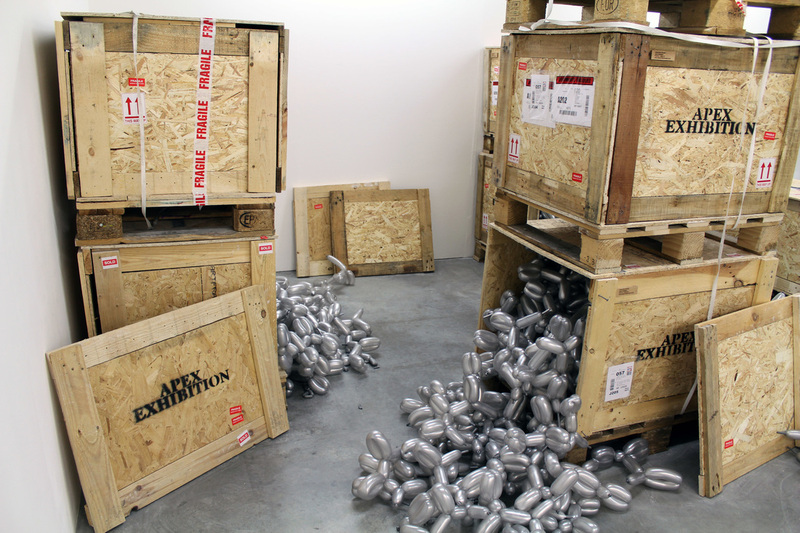 Originally produced for the Apex Exhibition 2016, this was also exhibited at Unit London Gallery as part of the Hix award (see Balloon Dog II). Is art no more than a commodity in today's society? 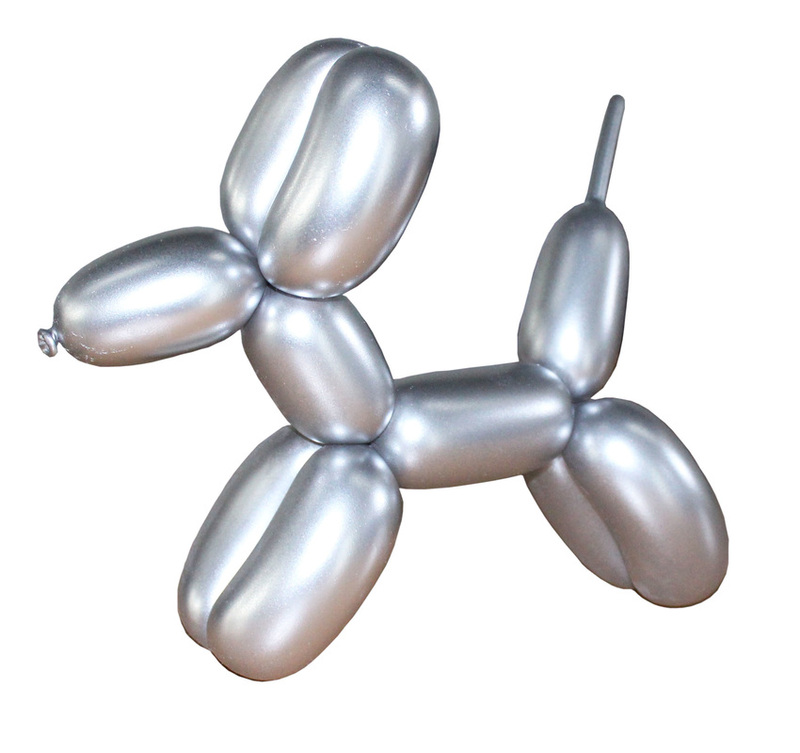 Balloon Dog is an appropriation of Jeff Koons' Balloon Dog (1994 - 2000). I have worked with sculpture, installation, and video to explore the commodification of art, value and the art market. By using inexpensive materials such as balloons and spray paint, I juxtapose the unbreakable and intimidating sculpture of Koons' Balloon Dog. The ephemerality of such materials allow the viewer to witness the deflation of the work over time, and in turn reveal unique details within the surface. 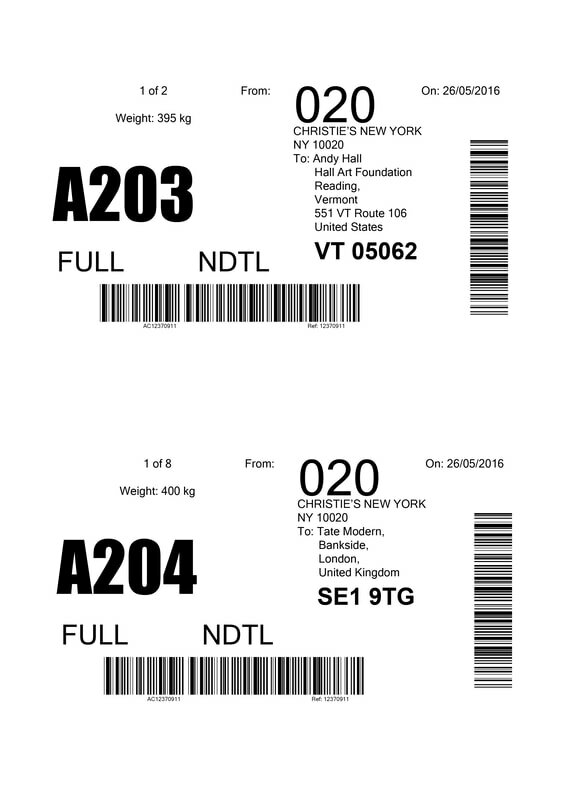 I designed all the shipping labels to enhance the connection with commodity. 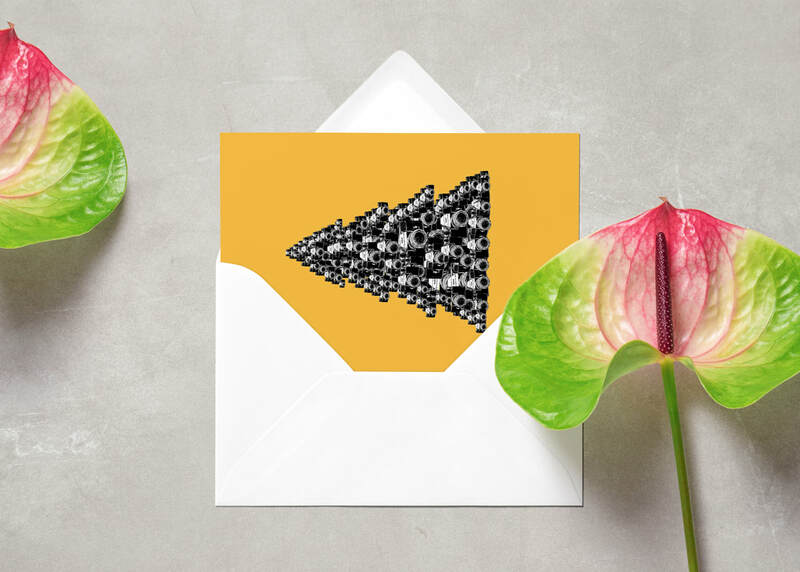 The brief was to design a Christmas card for a company of my choice. I chose to use the company Kodak after an initial project I worked on which involved drawing a building which happened to house Kodak. 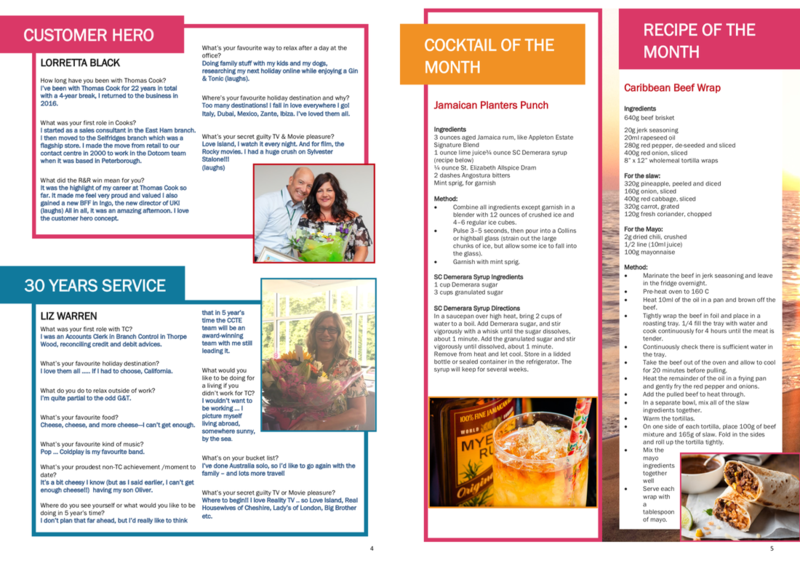 (Pictured right). 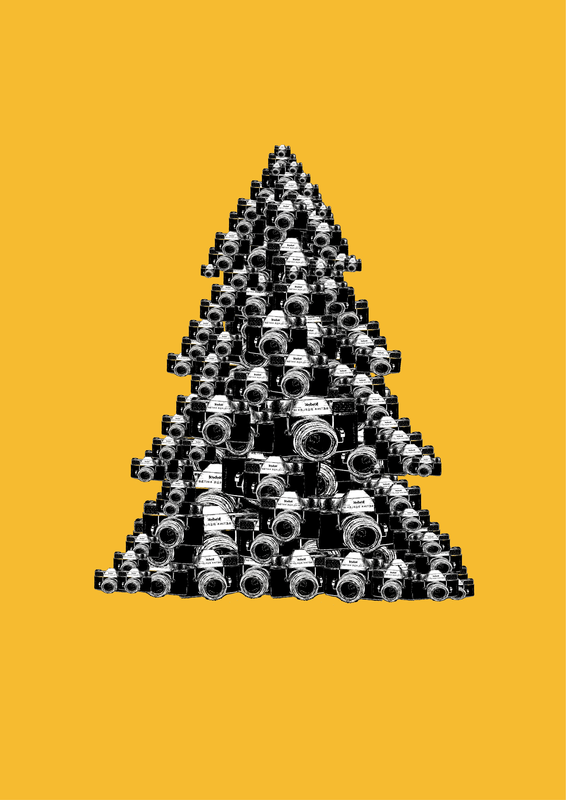 After some research into Kodak's history I found it is till quite tied to its traditional roots. Many of their old advertisements for the original cameras had illustrations and copy that that I could play with such as ‘take pictures further’. I wanted to mix these styles of old and new: an old building, the old advertisements, and the ever progressing camera company. 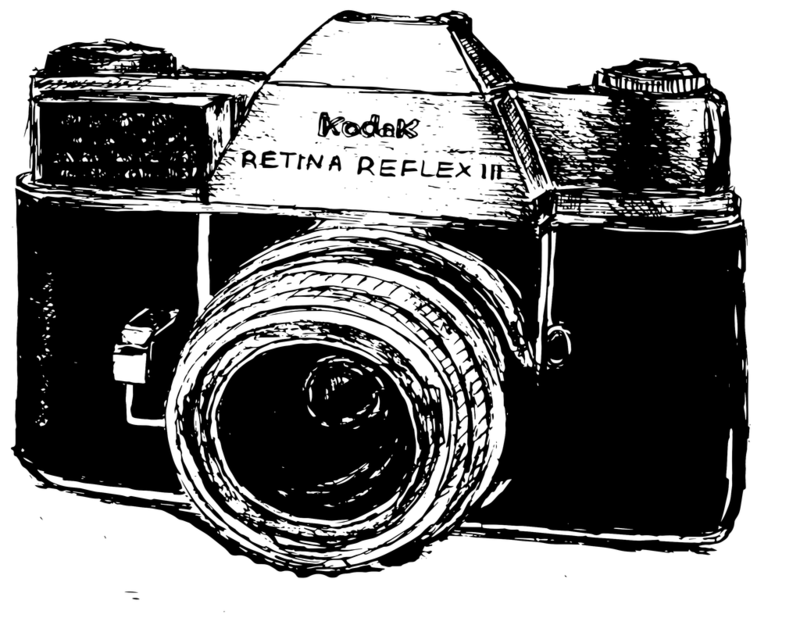 I chose to sketch the Kodak Retina Reflex II for its iconic camera look, before importing it into illustrator and producing a graphic. 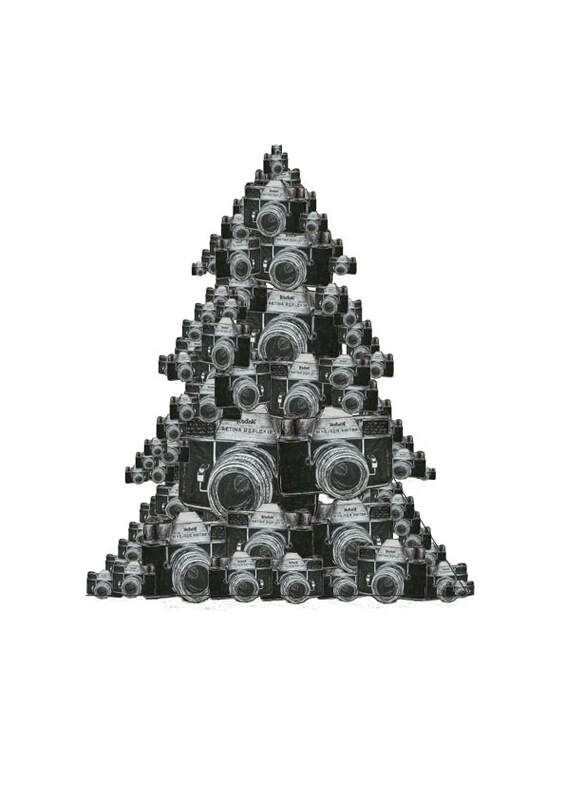 Its image is repeated into the shape of a Christmas tree, which is a technique inspired by Kodak’s advert pictured left, about ‘slotting easily’. 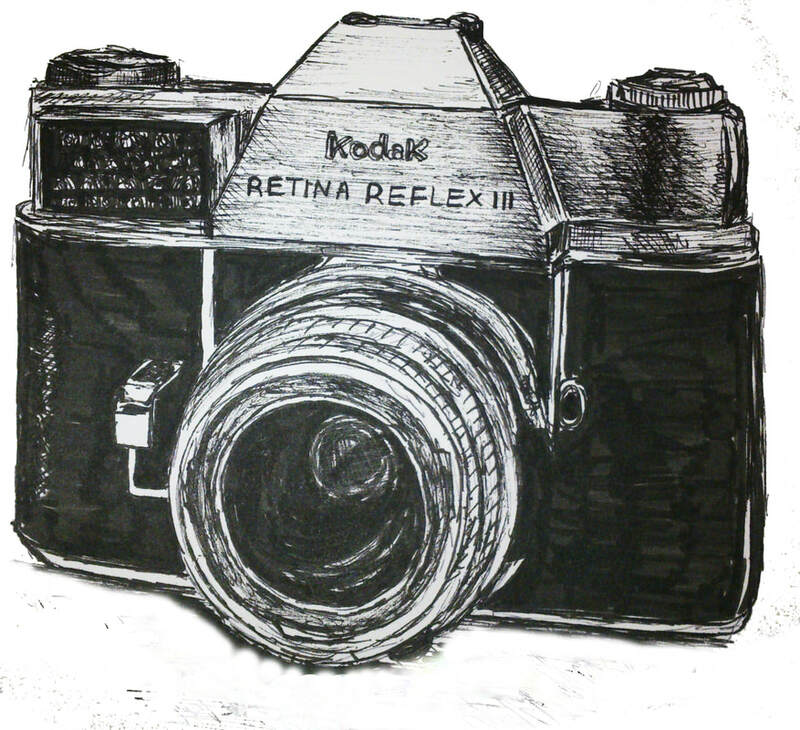 I wanted to include Kodak’s iconic orange colour, without taking anything away from the graphic of the camera. 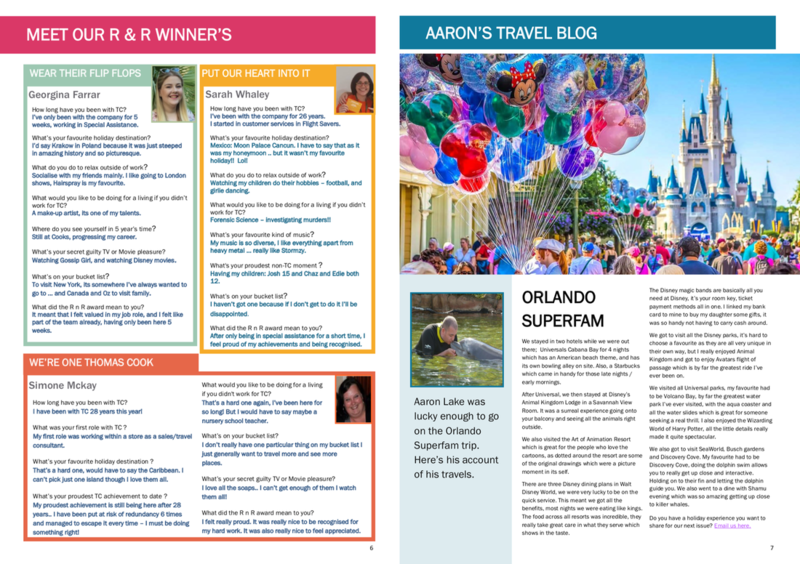 This was best suited to the background of the card, which really made the graphic pop.